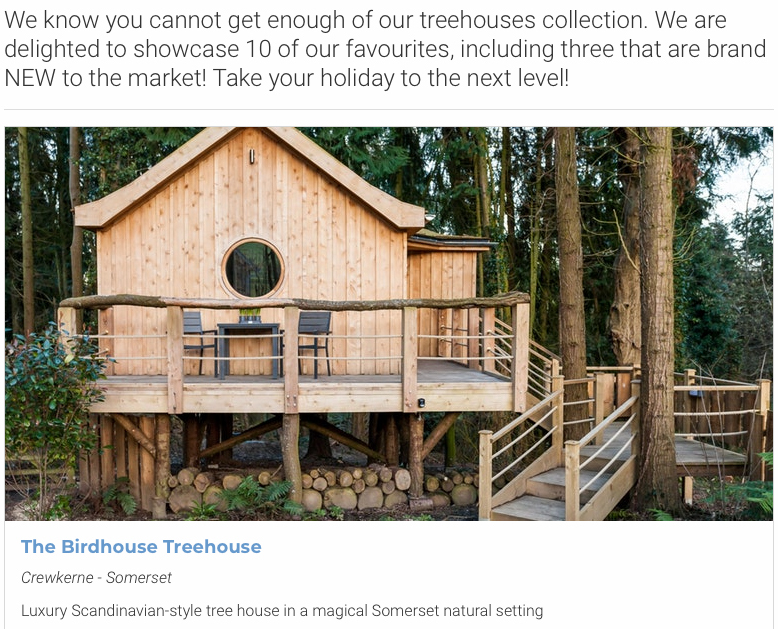 We are delighted to find the Birdhouse in another top 10 of UK Treehouses. 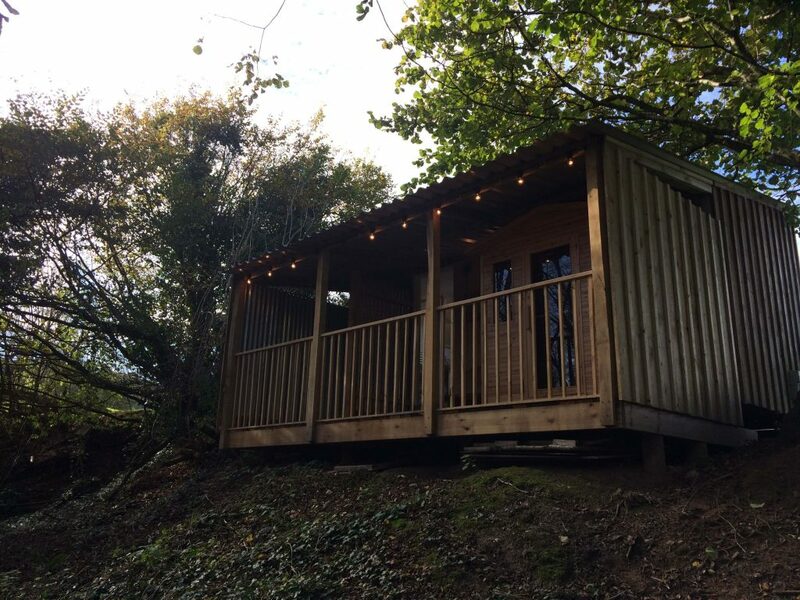 Have a look at the Coolstays website to find out more. This entry was posted in News on August 1, 2018 by Paul. This August Bank Holiday there is a festival in nearby Roundham. A reason to dust off your dancing shoes while your are on holiday? This entry was posted in News on July 12, 2018 by Paul. Autumn, the perfect time to take stock. 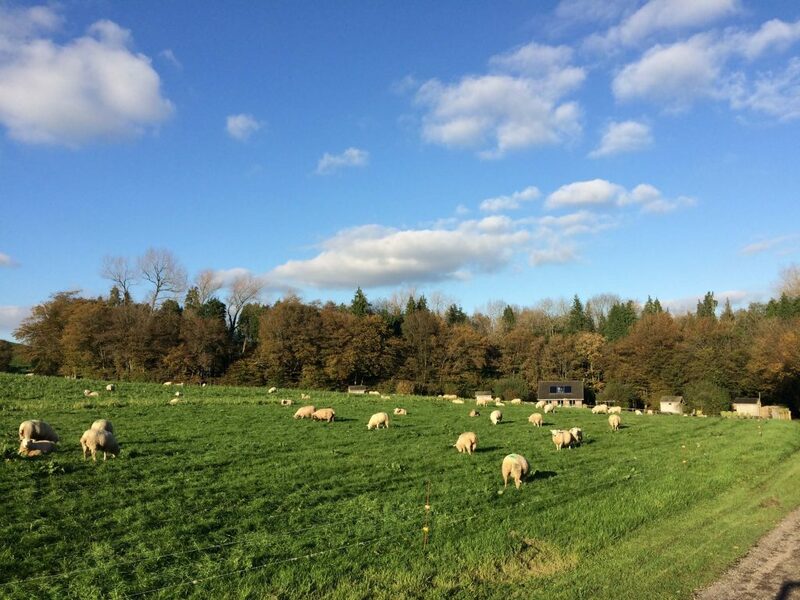 This year we have been a bit quieter on social media but with Autumn now here its a great time to take stock and catch up with you about the past season and the exciting new developments for 2018. April 2017 saw the birth of my son and its incredible how much more efficient you have to become to manage all the additional jobs. 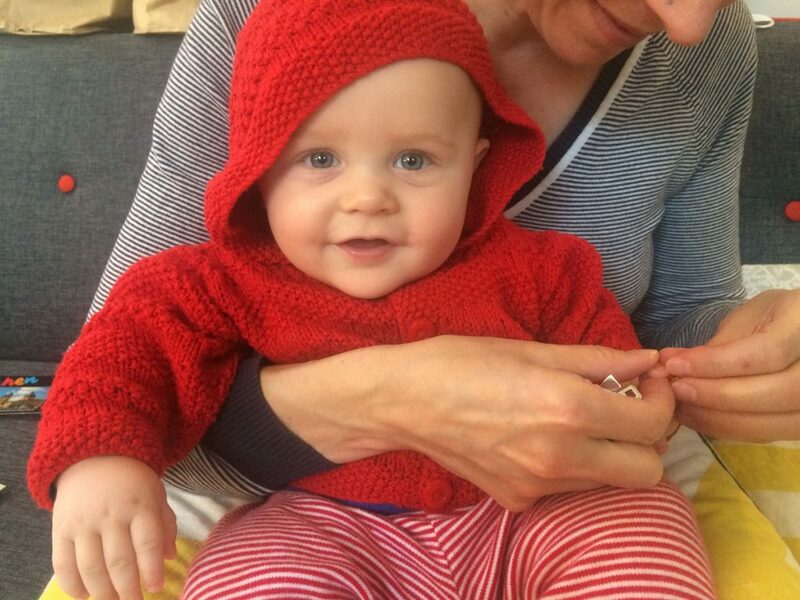 Its certainly been a long 6 months learning to parent but we are very blessed to have a happy, inquisitive boy who smiles easily which makes it all worth it. 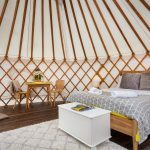 That doesn’t mean that we have been resting on our laurels as far as the Yurt Retreat is concerned. Far from it! 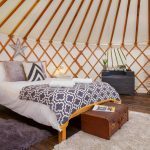 We began the year with our newly restyled Yurts which looked fantastic and we’ve had some great feedback through the season. In addition to the Yurts we have been working on our new Woodland Sauna building. We are just waiting on a new string of exterior lights and we are looking forward to opening it in a weeks time. 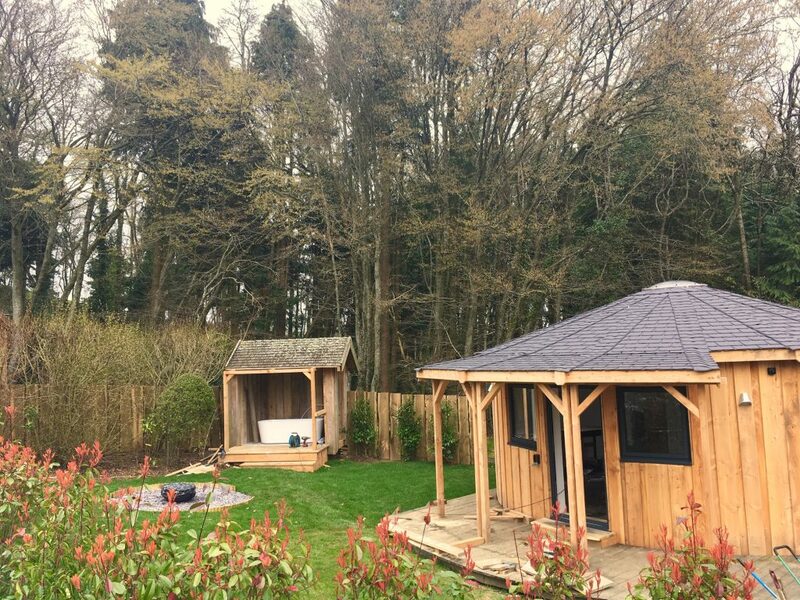 We have chosen an Infra red sauna as the health benefits seem even better than a traditional one and we have installed a fabulous outdoor shower but it’s really all about the unspoilt woodland views. Its going to be an amazing place to relax! 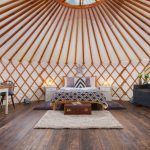 In the background we have also been working on another project to upgrade one of the Yurts to a proper wooden roundhouse with an integrated bathroom. 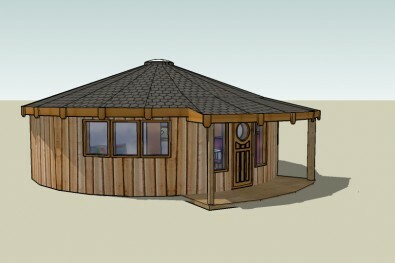 Thanks to the fantastic team at Rotunda Roundhouses (www.rotunda.co.uk) we have settled on a 6.5 meter building that will have its own kitchen, be beautifully designed and double glazed and will mean an end to the trip outdoors to use the loo! 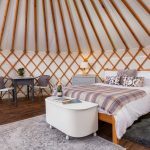 Now that the Yurts have come down for the Winter we will be getting stuck into this and we are really looking forward to a grand opening in March next year. Thanks to all of you who have stayed with us this year. Don’t forget that the Birdhouse runs all year round although this Winter is already booking up fast. We look forward to welcoming you back with us again soon and hope that you have a great Autumn. This entry was posted in News on October 29, 2017 by Paul. Coming back from the beach over the incredible bank holiday I couldn’t help but notice that it was darker noticeably earlier. 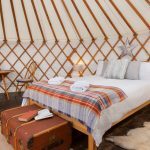 For holidays at the yurts thats excellent news. With all signs pointing to a lovely September you can now enjoy lovely days and starry nights. What better place to be for that than away from the city lights and sat around the campfire toasting marshmallows and sipping wine. 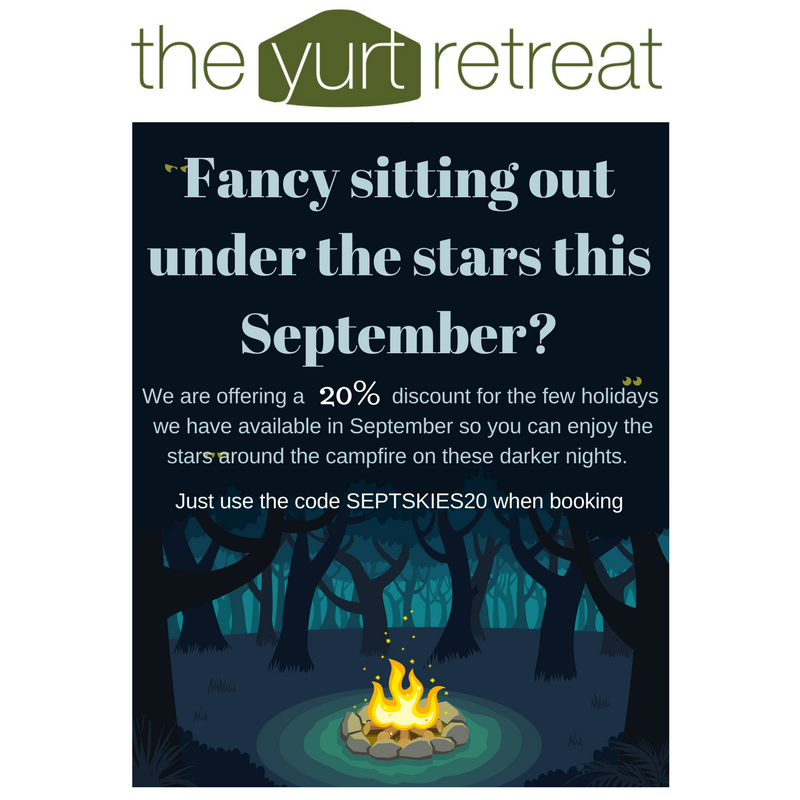 We don’t have many spaces left through September but we are offering a 20% discount just to make those stars shine a little brighter! Just use the code SEPTSKIES20 when booking. This entry was posted in News on August 30, 2017 by Paul. We know that we have been quiet for a while but that certainly doesn’t mean that we haven’t been busy. 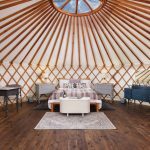 Winter has been spent reshaping the site and most dramatically, completely restyling our fabulous Yurts. We are tired but delighted to reveal the incredible transformation. 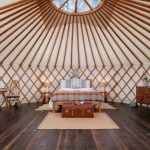 Forget what you think you know about Yurts. Now it’s really time to spoil yourself! This entry was posted in News on March 26, 2017 by Paul. We have now got some last minute availability in our Treehouse! This entry was posted in News on December 20, 2016 by Paul. Thinking about Christmas gifts or a New Years get away? Its that lovely time of the year again with holidays coming fast. I love the socialising that seems unique to Christmas when, for once, everyone is holidaying together and catching up after another busy year. It’s after that extra plate of cheese that it suddenly dawns on you that you haven’t figured out what to get your son and his new wife or that you haven’t thought of a way to thank your parents for all that babysitting! Why not offer them something unique this year. 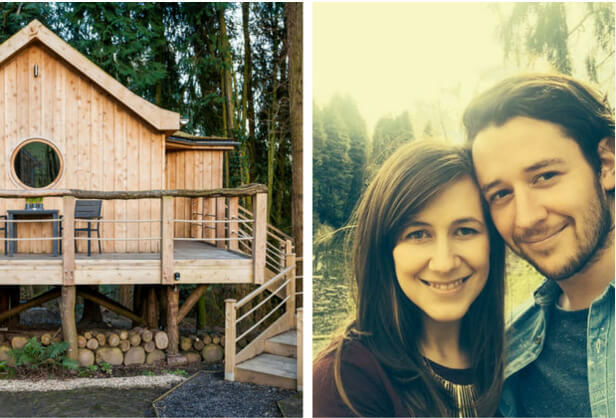 Buy them a voucher for a stay in either our Treehouse or our luxury Yurts and they can choose when to have that much needed holiday. They’ll love you for it! 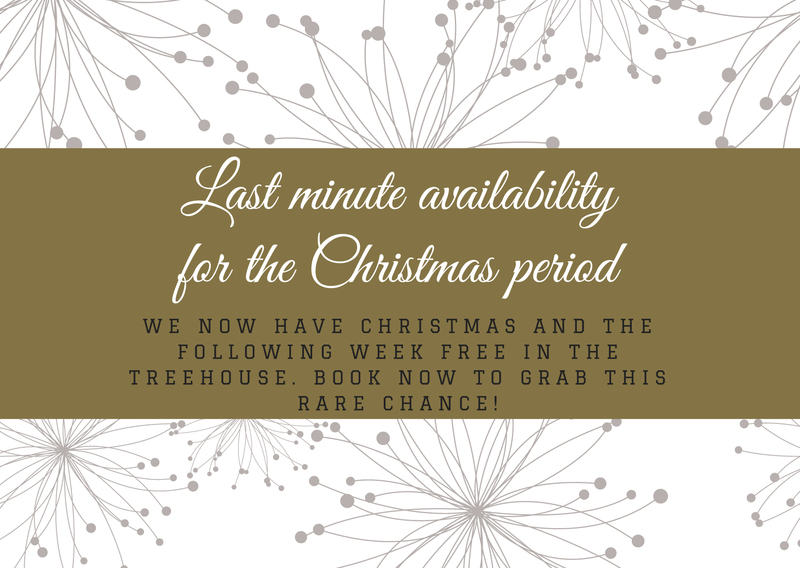 We have also opened our Treehouse up for New Years for the first time ever. We are offering a 3 night package from Friday the 30th to Monday the 1st for £500. Theres only one slot available so be quick to catch it. 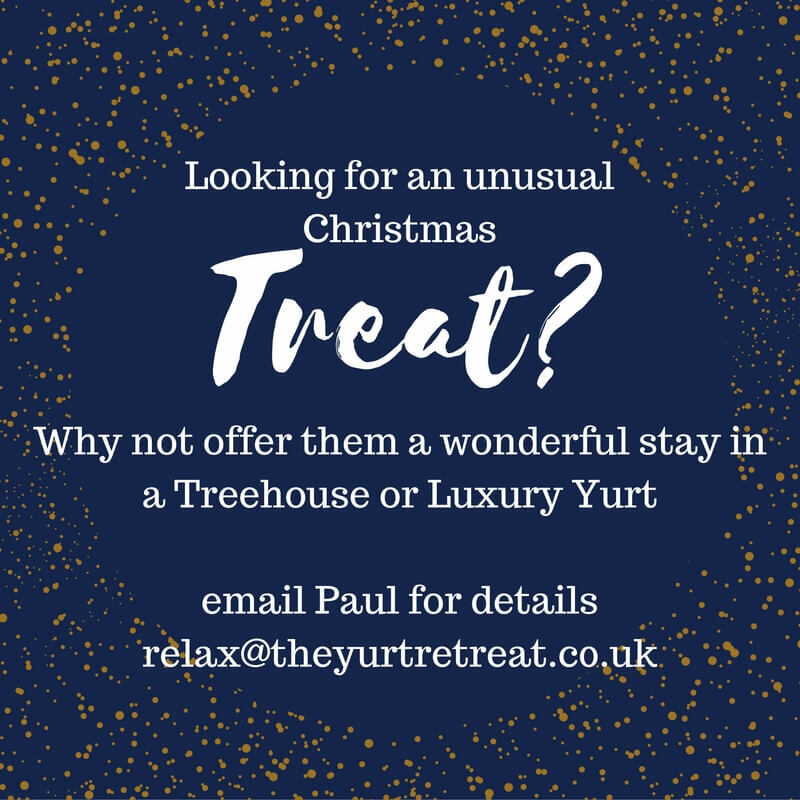 You can book via our website at www.theyurtretreat.co.uk or email for details. This entry was posted in News on December 12, 2016 by Paul. Many thanks to the Bath Chronicle and Absolutely.London their great new reviews. Click on the names to see their articles. 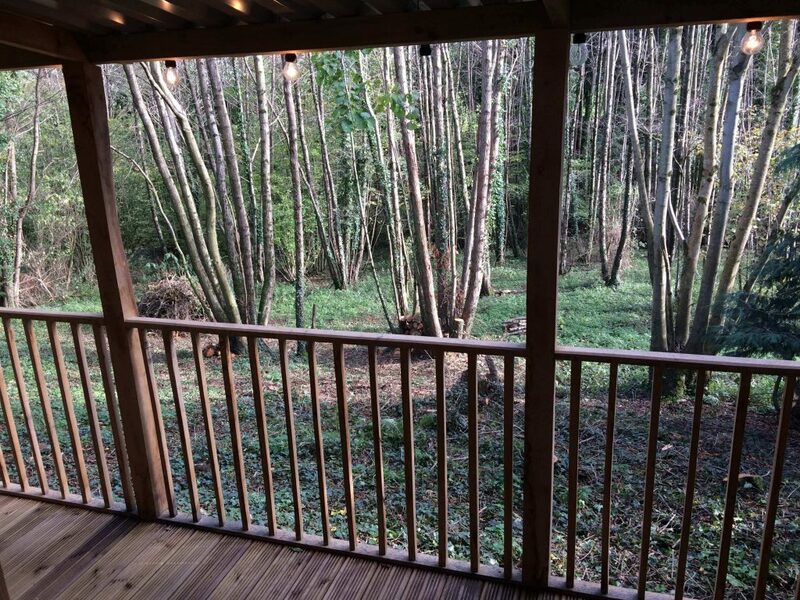 With some beautiful colours smouldering through the woodland canopy and the Yurts tucked away for Winter, we are busy here on site at The Yurt Retreat making improvements for next year. We are currently working hard to improve the landscaping around the Yurts with more planting to create a greater sense of privacy. 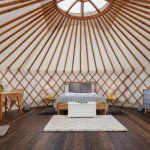 We will have the second of our Yurts refurnished for 2017 to make 2 shabby chic and 2 skandi styles. With all bed linen and towels now included as standard its going to be a great choice for that romantic getaway. This entry was posted in News on October 20, 2016 by Paul.